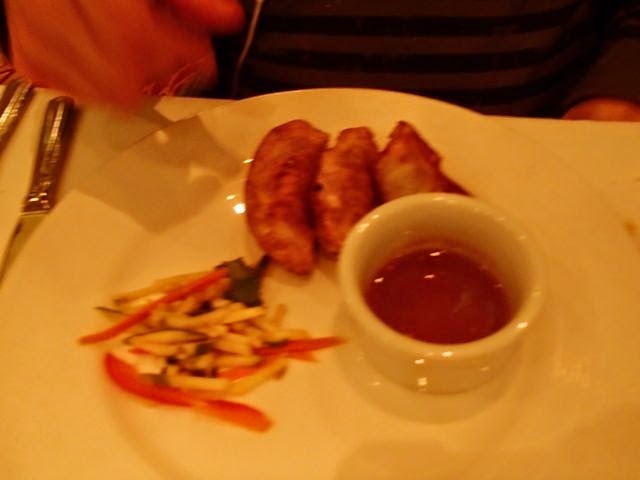 Mik enjoyed the Pirates Golden “Pot Stickers” as his appetizer. He had the Caribbean-style Conch Chowder for the soup/salad course, which he didn’t particularly like. 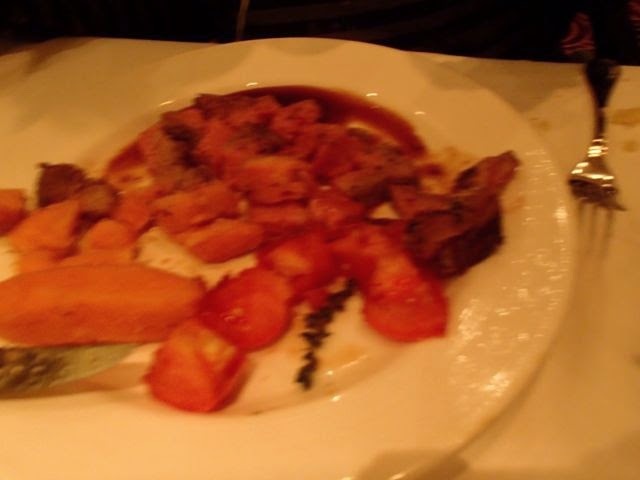 For the main course he had The Dutchmen’s Dijon Crusted Sirloin of Beef, which he enjoyed as usual. He was not sure about getting it because it came with sweet potatoes, but we said he did not have to eat those. However, he tried them and for once he actually liked sweet potatoes. For dessert he had his typical sundae. 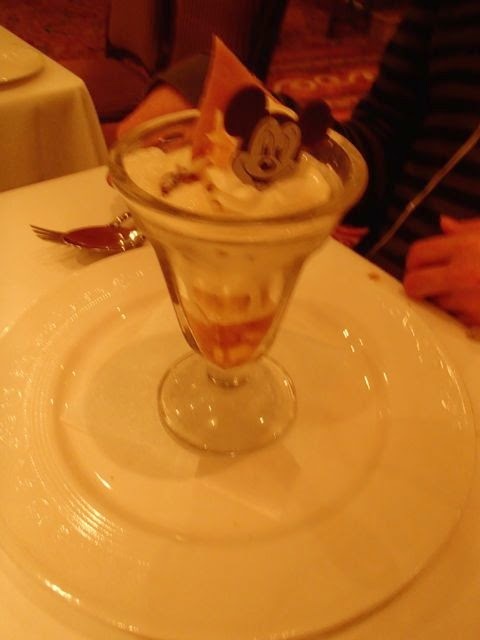 This time it was the Crunch Time Sundae. He wasn’t sure about the rum raisin ice cream part, but he enjoyed it because he mostly tasted the pineapple. 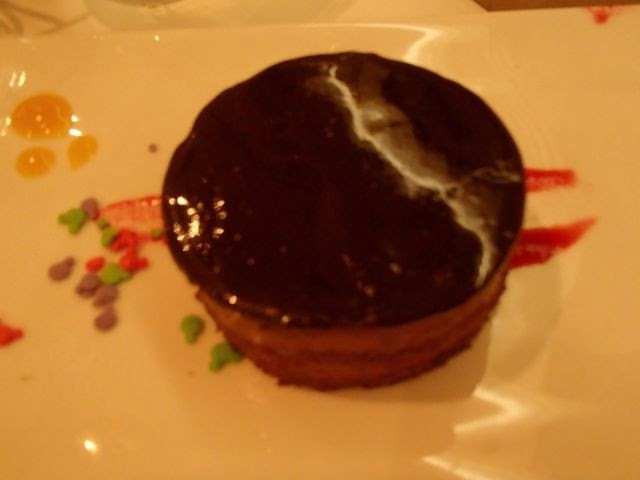 He also enjoyed my birthday mousse cake, which he had been looking forward to and claimed way back when we booked this cruise when we were on our last cruise in June 2013.